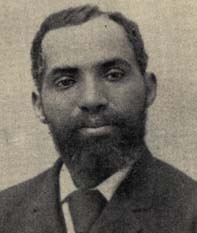 Henry N. Jeter (Henry Norval), 1851-1938 Pastor Henry N. Jeter's Twenty-five Years Experience with the Shiloh Baptist Church and Her History. Corner School and Mary Streets, Newport, R. I.
African American Baptists -- Rhode Island -- Newport -- Biography. African American Baptists -- Rhode Island -- Newport -- Clergy -- Biography. African American Baptists -- Rhode Island -- Newport -- History. African American churches -- Rhode Island -- Newport -- History. African American clergy -- Rhode Island -- Newport -- Biography. African Americans -- Rhode Island -- Newport -- Biography. Jeter, Henry N. (Henry Norval), 1851-1938. Shiloh Baptist Church (Newport, R.I.) -- History. Brown University Library provided the text for the electronic publication of this title.